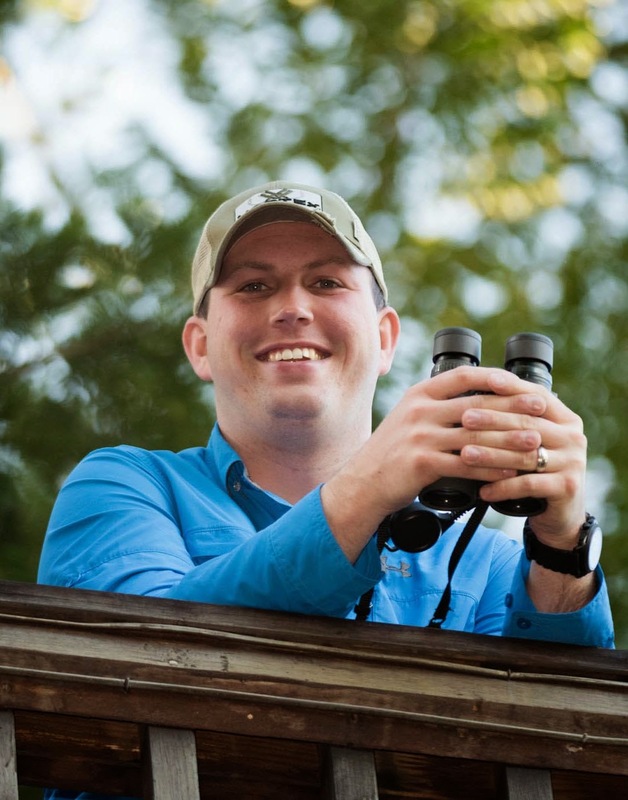 Rob writes: While on a family vacation in Cancun a week or so ago, my wife and I decided that we would rent a car one day, and head south from Cancun to Puerto Morelos. I got some recommendations on where to bird from some friends that I met in Honduras. They lead tours in the Yucatan, check out their company here, but were off leading a tour so they couldn't join me on my adventure. 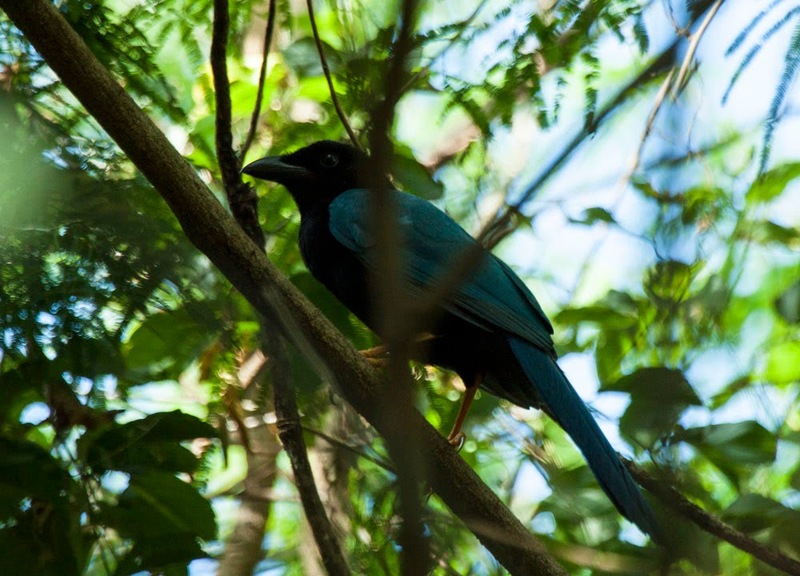 Their main suggestion was to bird along Ruta de Cenotes which is a road that leads out of Puerto Morelos. Having never driven around the Yucatan, I wasn't really sure where I was going but decided to give it a try anyway and I'm so glad that I did! There were a wide variety of birds that were active along the road including several that I was really hoping to see. My favorites were Orange Oriole and Yellow-lored (Yucatan) Parrot. The welcome sign at the botanical garden. 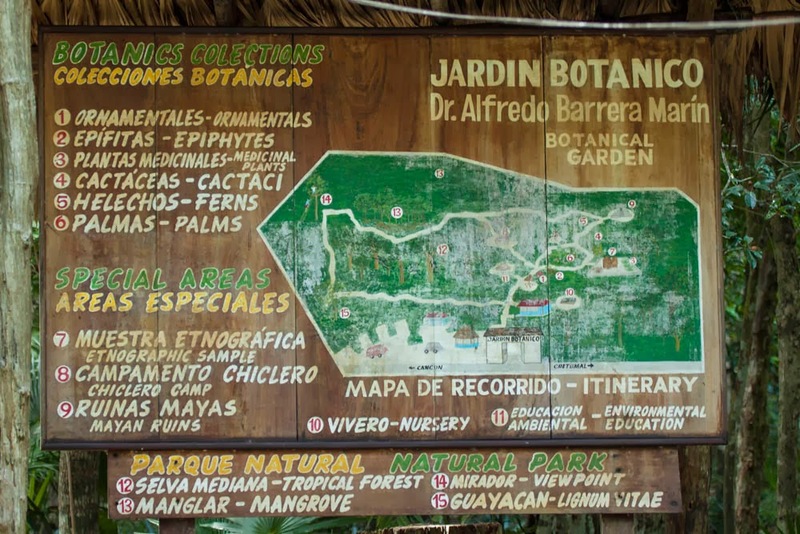 After birding along the road, we decided to hike around the botanical gardens that are located in Puerto Morelos. We'd visited the property once before but I was new to tropical birding and did not know the birds well enough to pick out most of the birds that were singing. 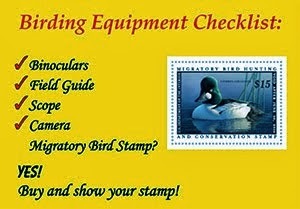 Luckily, I'm a little more experienced now and the birding was better. 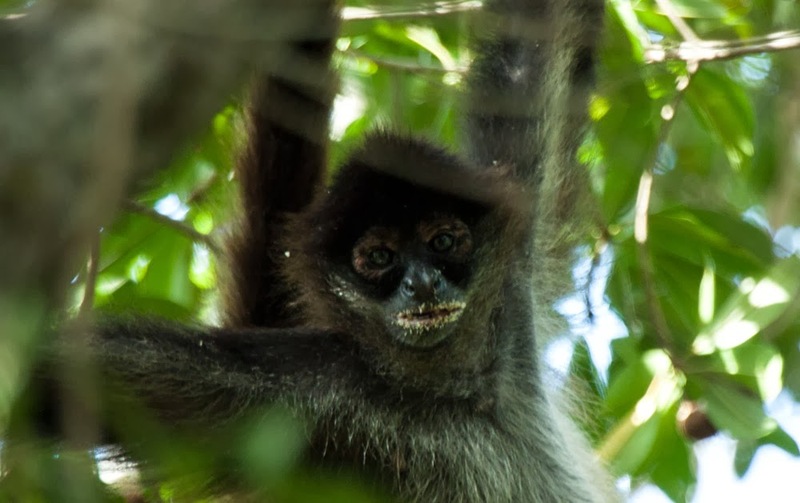 Although there were some good birds, the real highlight were the troops of Spider Monkeys! I spent awhile watching them before going off to look for more birds. My wife spent more time photographing the monkeys. She ended up getting some great photos! After briefly glancing at us, the Spider Monkeys went back to feeding and mostly ignoring us. 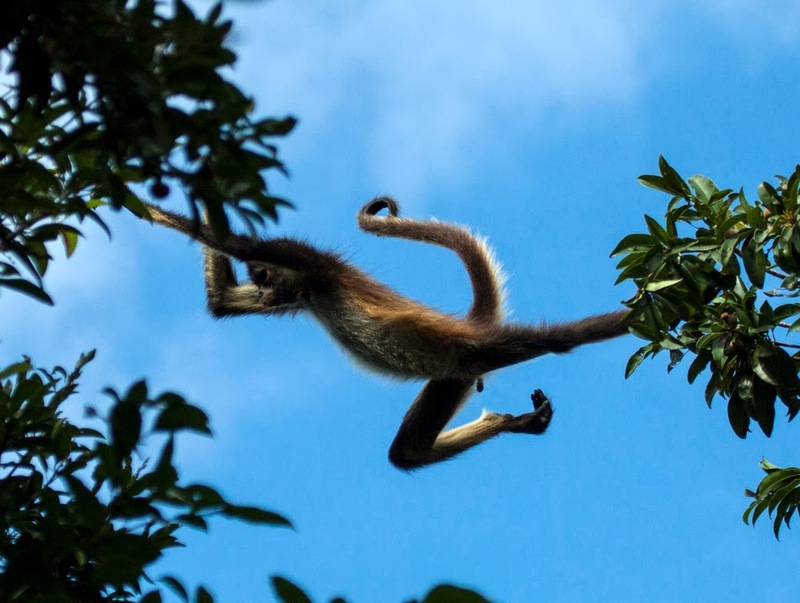 We saw several monkeys fly between the trees and Steph was able to capture this awesome image! 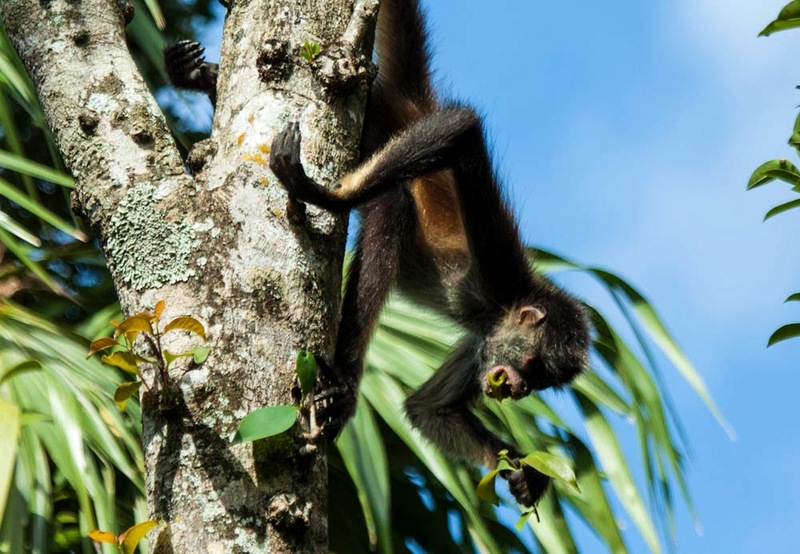 It was really interesting to watch the Spider Monkeys forage for food in the trees. If you are in Cancun and don't have a whole lot of time but would like to get a little birding in, I would highly suggest the route that we took! This was the only bird photo that I took all day but at least it was of one of the endemic Yucatan species. We came across a huge flock of Yucatan Jays while at the gardens. They liked to stay very hidden in the brush.